Way back in 2002, Darren Berrecloth as an up-and-coming rider with something to prove... the rookie 'Claw' wanted to compete in Red Bull Rampage. When he approached organisers for permission, they were impressed with his skill but had to make sure the crossover BMX rider had what it takes to ride Rampage's insanely steep and exposed mountain terrain. Watch the video to see Bearclaw ride King Kong again, 13 years later, to celebrate the coming of Rampage's 10th edition event on October 17. 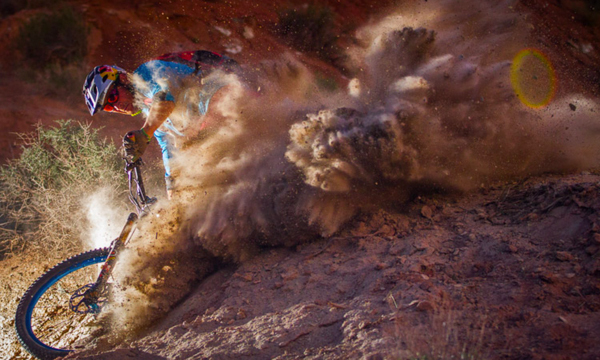 The trail is a true rarity… It’s the only shuttle-able Rampage-style line on the planet. There was one local trail they could take him on to test his mettle: King Kong. So event organiser Todd Barber and Bearclaw went for a little ride… Of course, the rest is history, he passed the test and ended up placing third, in his first ever Rampage.